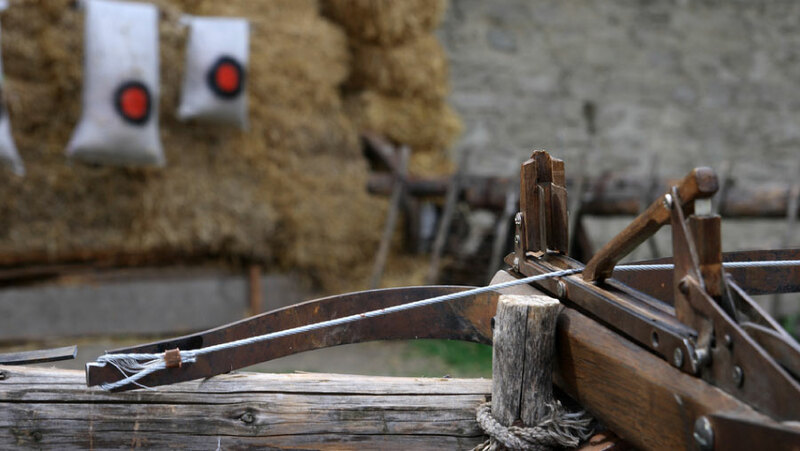 The crossbow started out as an extremely primitive weapon, mainly used in medieval warfare in Europe and East Asia. However, with mechanical and technological advancements, they have experienced a massive evolution, which resulted in the mighty machine we know today. Of course, the modern crossbow serves many different purposes, from pacifistic ones to more hostile others such as hunting, which we’ll be focusing on in this article. There’s a great diversity in the products available on the market that are designed for fulfilling many needs, hence having distinct constructions. That’s why you should follow through with this article, as it will be your roadmap while exploring such a spectrum. This is especially true if you’re planning to buy one because it will help you make a solid, argument based judgment. 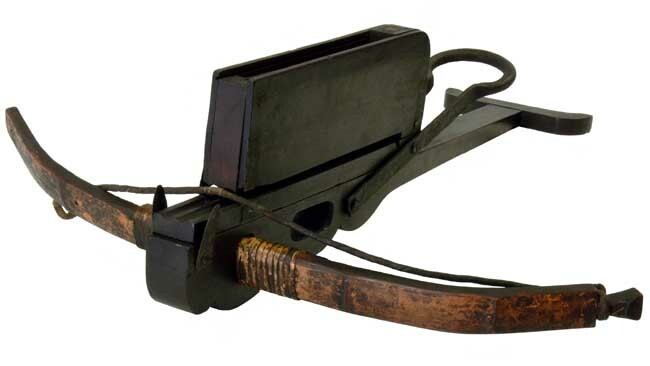 This type of crossbow is one of the oldest ones that have ever existed, as it may have been one of the most antique ancestors of the modern version. The curves that signal the end of it are the origin of its’ name, and they fulfill an essential role in that they keep the string in place so that it doesn’t fluctuate. Thus, they make sure that safety is guaranteed while it is being used. Either Aluminum alloy or Magnesium or Carbon fiber are used in making the popular versions that are on the market today. Moreover, it facilitates aiming a lot, as they feature a long length of the draw when compared to the other types, which grants the projectile a massive velocity. On the other hand, this makes them have some loud noises when they’re fired. Professional hunters adore this beast, because it suits the need for robust and rapid shots, while also delivering in terms of range. One of the only shortcomings of such an outstanding and performing design is that the pressure exerted on the strings is so enormous that you’ll need to replace them frequently. Furthermore, the size of this thing is prohibitive for moving around too much with them as it’ll test for your endurance and strength. 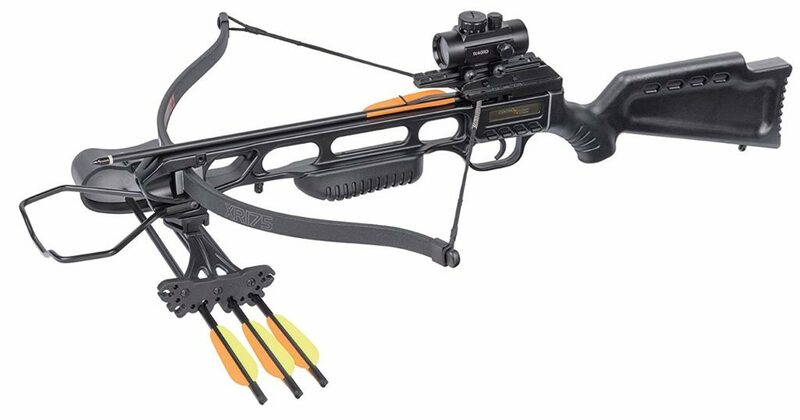 This particular crossbow design is made in a complicated matter. Thus there are many difficulties in getting it up and running the first time around. The use of this type, however, is profoundly easier, which justifies its’ popularity among hunters who are looking for something that’ll not put their skills to the test too much. The energy consumption and the reliability of the shorter limbs are highly appreciated as well because they make for a high-quality product. Some of the models even utilize extra material to make it reliable. This is why it is popular as a durable, accurate pick. The pulley system connects a string and a second limb. If you pull back the string, triggers a mechanism which leads to the limbs being bent, thus saving a good amount of power which in turn makes the shot even faster because it adds up to the energy of the movement. The short drawing length also makes for an effortless experience. 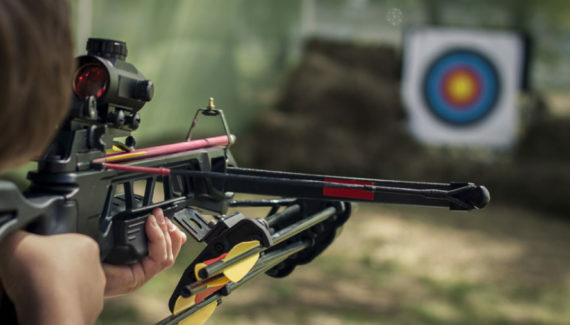 Furthermore, these crossbows take up even less space than recurve ones, so they are perfect to use in more confined areas and will provide more comfort in these particular, fairly common situations. The build is also designed to bring jittering and recoil to a minimum, enhancing precision by a great deal and reducing the noise along with them too. The most significant disadvantage that users of this crossbow might face is the hefty weight of this beast, which makes the recurved ones seem light in this regard. Moreover, try not to ruin a string, simply because to restring it you’re going to need a special tool. Impacts are not things they are able to tolerate, and the precision is lost rather easily if you drop it too much, so make sure that you handle gently. 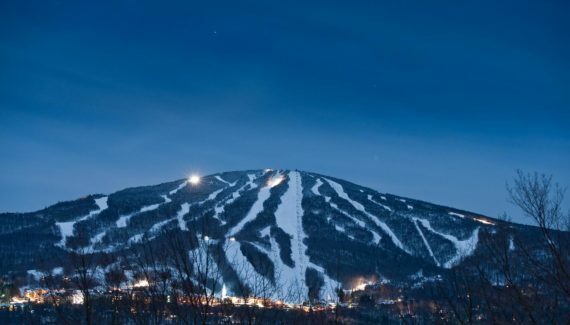 Finally, the complicated design can turn the maintenance into a nightmare. The greatest feature that this type offers is the extreme ease of use, given that it only necessitates one movement for shooting, as simple as that. The others stages of the mechanism are chained after it. Thus the convenience of this crossbow is unmatched. If you’re prioritizing speed, then let us tell that this outstanding weapon can help you deal shots that are up to three times quicker than with your average weapon! And the repetition also can’t be any easier, so there’s more room for error. It facilitates the required learning curve from being a beginner to becoming a high-skilled hunter because it lessens the effort involved. It is, nevertheless, mostly mechanical. Thus it is not customizable, and many people might be swayed by such a fact because it makes the experience less fun. 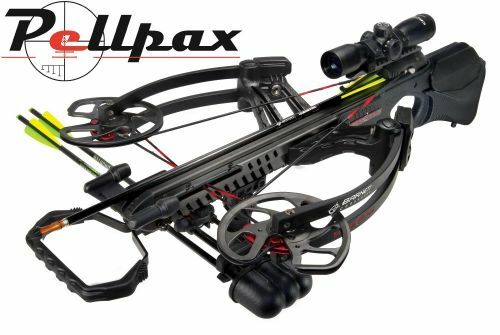 This one is a rifle-crossbow hybrid which takes the best of both and offers it all in one package. 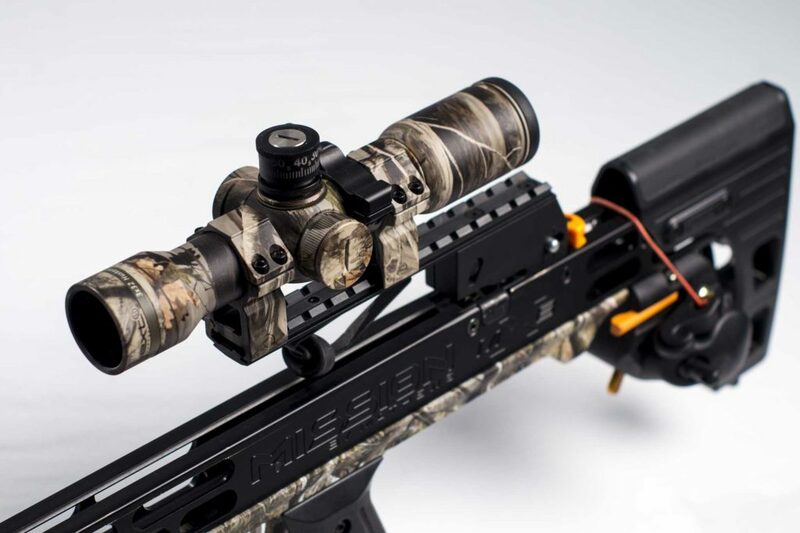 Since it is a rifle in part, it takes from that side the precision in aiming, which is much superior compared to standard types, all thanks to the powerful crossbow scope it features. Of course, this is coupled with all the highlights of ordinary crossbows. Moreover, the build quality is outstanding, which is fiber-based. Shots from long range are this weapon’s specialty because basically, it will provide extreme accuracy for distances that are up to 250 feet. The dimensions of the rifle crossbow are minimal, especially the width which is as narrow as they come, even more so than previous types. This means that their usability is not at all hindered by dense areas that pack many obstacles. The greatest highlight of it though is the rails that are conceived in such a way that the friction is null, so the arrow provides maximum speed during the shot. The power needed to use this crossbow efficiently is quite high, necessitating an archer who is more familiar with crossbows in general and has the strength and technique to handle it. The complex cocking and the immense power of the shot are the factors that impose this significant requirement, but if you can muster them and meet the criteria, you will be more than satisfied with the result.